Interested in Meeting New Friends on the Golf Course? 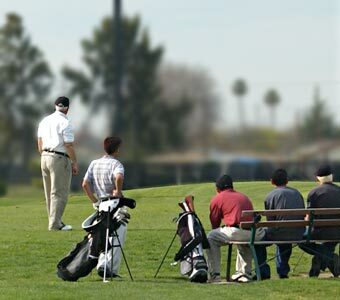 If you are looking to meet up with other golf enthusiasts for regular play, then consider one of the golf clubs at Rancho del Pueblo. There are groups for both women and men to join. Play golf at a set time every week and enjoy other great benefits like Pro Shop discounts and regular golf tournaments with prizes. If you're interested in joining one of our golf clubs or in starting your own, please complete the form below to contact our Golf Operations Manager, Colleen Henry, LPGA, The First Tee Master Coach.